Trendy and fashionable wedges now healthy for your feet! The Marilyn Wedge Slide is fully adjustable for many different types of feet. A timeless style with an Alegria twist, the Paloma is the perfect shoe for any occasion. This easy-fit Mary Jane features an incredible selection of colorful leather uppers, each with unique ornamentation. What makes this purse very special? Each purse is exclusively hand-painted and made with love. This large flap-over convertible bag features a full-length zippered pocket around the flap edge. The flap opens with a magnetic snap closure to the main compartment. This bag has an open slip pocket in front under the flap, an inside zippered wall pocket, cell and multipurpose pocket, a removable optical case and cosmetic pouch, and a rear zippered pocket and slip in cell pocket. Inside comes with two extra coin purses and a fabric optical case to complete the perfect dream bag. Perfect for everyday wear, you’ll love the Arcopedico Leina. And weighing just 5 oz. a pair, you’ll forget you have these go-with-anything mary janes on! Featuring a Lytech upper with an elastic strap ensures an easy on and off, and a secure fit. The removable cushioned insole keeps your feet feeling nice and comfortable and gives you the option to accommodate your own custom orthotics. This Arcopedico casual shoe also has a polyurethane outsole for plenty of durability. Feel comfortable and casual in the Arcopedico Leina. Treat your feet to the Vegan LS lace-up oxford from Arcopedico®. Knit upper for fashionable and long-lasting wear. Lining contains the Sansmell™ deodorizing system which is anti-microbial. 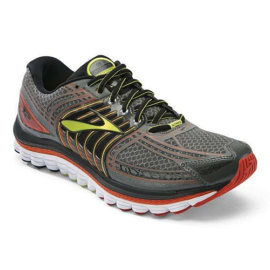 Textile insole provides cushioning and all-day comfort. Twin arch support system sustains the arch of the foot. Synthetic outsole delivers durable traction on a variety of surfaces. With shock absorption, structured heel support and a soft, comfortable collar, this trail-tested hiking boot is ideal for day hikes and overnights. Multi-directional tread keeps you stable on tough terrain. This canvas mary jane provides all-occasion style and walking comfort, so it’s ideal when you want to travel light. A low-profile rubber and cork outsole helps keep a spring in your step all day long.